Beauty Care Choices: Flat Irons - tips and tricks! There are different kinds of hair straighteners. 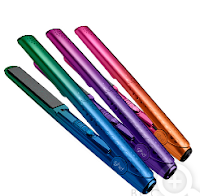 Choose the one that is right for your style: Ceramic: If you don’t want to burn your hair use a ceramic straighter. 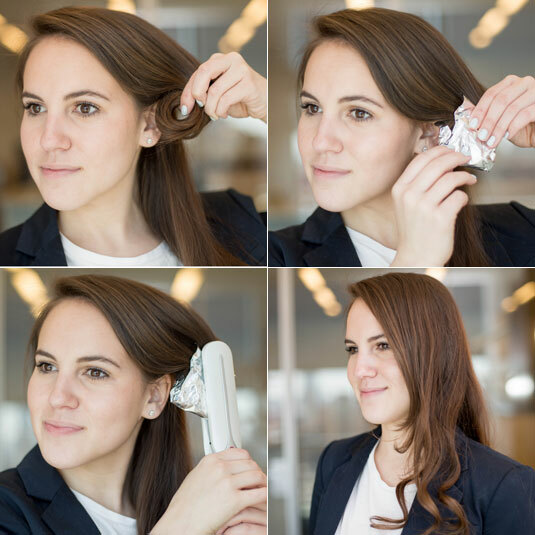 Titanium: If you want to style hair within minutes, choose the titanium one because it heats up fastest. Tourmaline: When you want a shinier, straighter look, you should choose tourmaline straighter. When using a flat iron, the #1 best advice is: Make sure your hair is completely dry. If you hear a sizzle, it's not! The heat from a flat iron can break down the bonds in the hair, so use the lowest temperature setting for the style you want. Most hair types do well between 275-375 F. Your hair's texture will determine where you fall on that scale. Finer hair needs a lower heat setting. Use a heat protectant product. They add moisture to your hair and prevent the natural moisture from evaporating. They also form a protective barrier over the hair cuticle to help prevent damage and help your hair keep its shine. If you don't have one, try KMS Free Shape Hot Flex Spray or Kenra Platinum Hot Spray 20. Get the look! Get curls, waves or straight hair all with your flat iron! It never dawned on me that I could use my flat iron for all of these. Very cool. I really love the tips about hair chalk and being able to use it to make curls! Im guilty as charged. Every great once in a while I have tried a curling iron on wet hair. Will not be doing that again. So many ways to use my flat iron that I never knew! Thank You for all the tips. I think that I need to listen to the number one tip more often.. I never wait until my hair is dry! That's probably why I have so much breakage! I'll have to try some of these tips! Thanks for the information.